Microbiological contamination of food can cause a range of sickness symptoms, the most extreme of which can result in hospitalisation, contamination can also cause food spoilage. Contamination can result from raw ingredients, poor sanitation or hygiene practices, or inappropriate storage conditions. 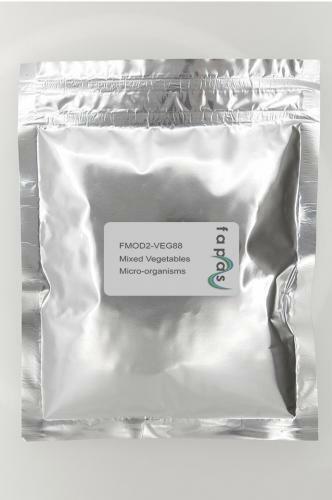 Our Food Microbiology PT samples combine the test organisms into real food matrices or swabs, together with background flora to fully represent real-world samples. This proficiency test is of a qualitative nature. Within this test your ability for the detection of the pathogen Listeria monocytogenes/Listeria spp. in milk powder will be evaluated, from which to highlight any areas of improvement you may have within your current testing arrangement. Proficiency tests from Fapas make use of real food matrices, and include background flora as seen within your routine testing activities. This can challenge your testing laboratory and provide the direct comparison required to benchmark your testing ability and form the foundation of your wider quality assurance programme. Mixed vegetables refer to ready to use cut vegetables that contain a mixture of at least two different vegetables. The vegetables may be chopped, sliced, cubed or in juliennes. The typical vegetables included in mixed vegetable are cauliflower, carrots, cabbage, French beans and peas. Their simplicity and availability means it is used by families around the world.